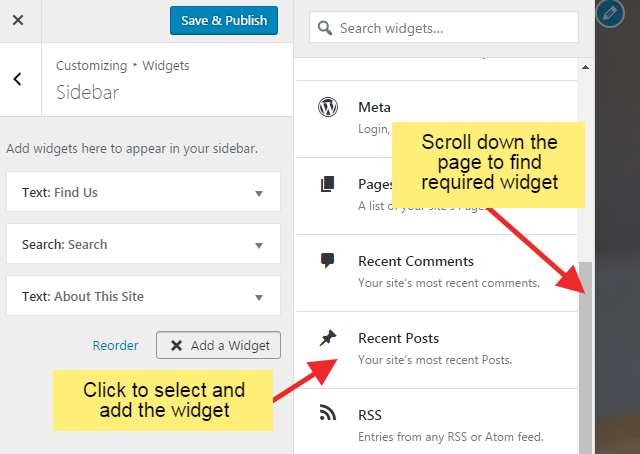 How to Add and Use Widgets in WordPress website? Widgets are the small blocks which add or perform specific functions. 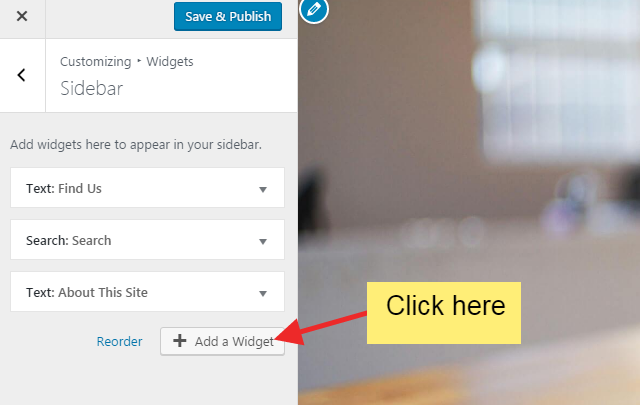 We can add widgets in any widgetized (widget-ready) part of your website. 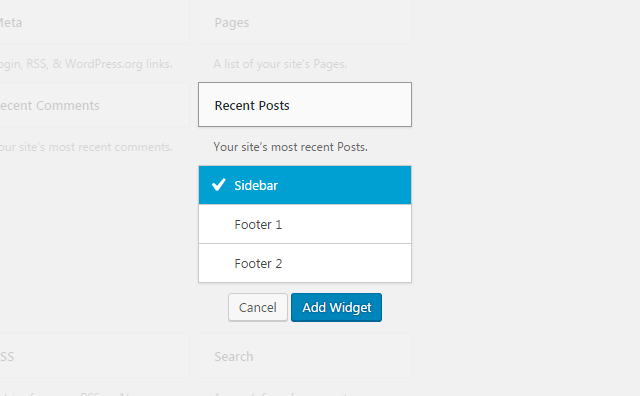 Generally, the sidebar of the WordPress website is made widget-ready. But, these days WordPress theme developers are making other different sections of the website widget-ready like footer, top and/or bottom of the main section, etc. Widgets make it easy to make the website highly customizable and feature rich. 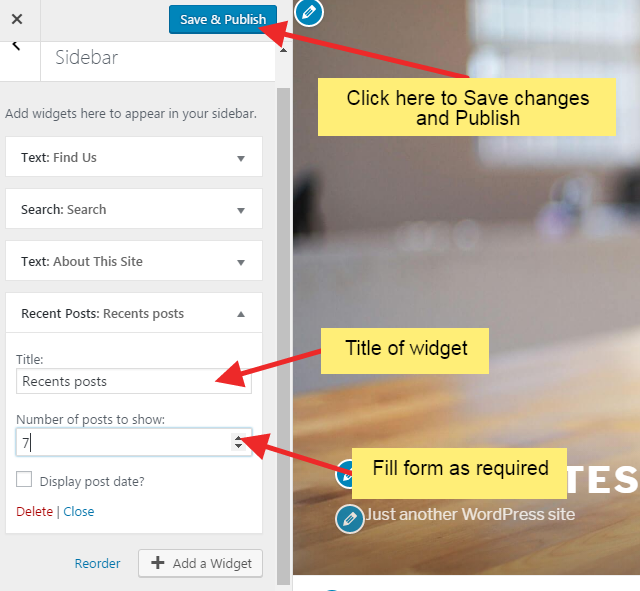 In this article, we are going to learn how to add widgets in WordPress. Click Appearance >> Widgets menu. You’ll see available widgets on the left side of the widget page. Widget ready sections of the website where you can add widgets are visible on the right side of this page. Drag the widget that you’d like to add to the widget ready section where you want to add it. Add the title of the widget and other info in the form. Then, click Save button. If you’re not comfortable with drag and drop technique, you can do it with another way as well. Click the plugin that you’d like to add. You’ll see the list of widget ready sections of the website. Click to select the section in which you want to add the widget. Then click Add Widget button. The widget is added to the concerned section. 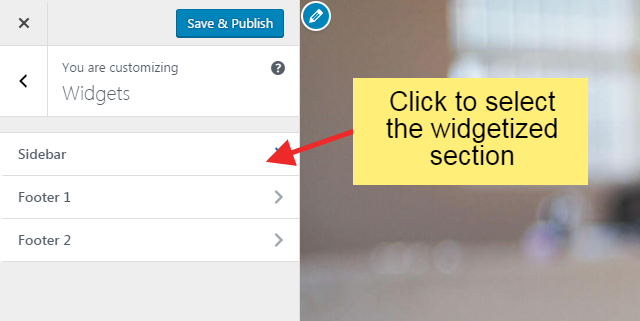 Fill up the form related to the widget and click Save button. WordPress website can be customized almost completely from the Customizer. 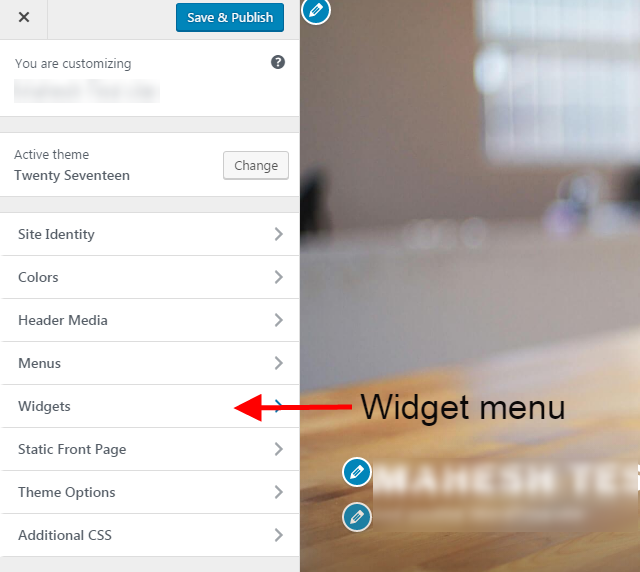 You can add widgets from the Customizer by following these steps. Click Appearance >> Customize menu. You’ll see Customizer page. Click Widgets menu. You’ll see menus of the different widgetized section. Click to select the widgetized section in which you want to add the widget. You’ll see widgets already added. To add a new widget, click ‘Add a Widget’ button. You’ll see available widgets. Find the widget that you’d like to add by scrolling down the widget list or searching it from the search box. After you find the right widget, click it to add it. You’ll see a form related to the widget. Fill it up as needed. Finally, click on the ‘Save & publish’ button. The widget is successfully added. How to remove the widget? Go to dashboard. Click Appearance >> Widgets menu. Click on the widget in the widgetized section which you’d like to remove. Click on the delete button in red color. The widget is successfully removed. 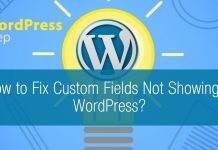 Which widgets are available in WordPress? 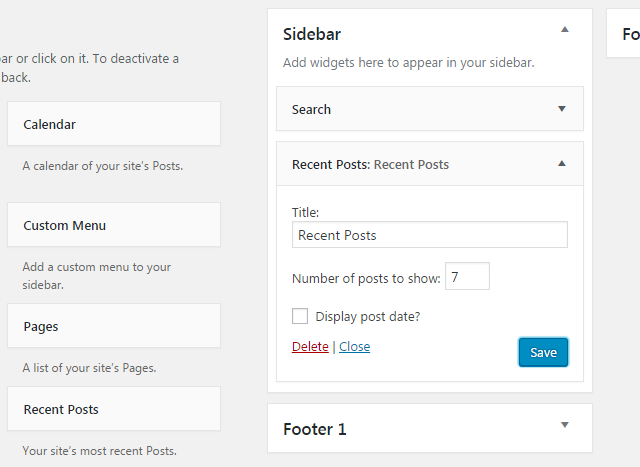 By default, you’ll get widgets like Recent Posts, Recent Comments, Search, Archives, Calendar, Categories, etc. Besides these default widgets, you can use several other widgets that are the part of theme and plugins that you’ve installed. You can see the full list of available widgets in the widgets page. If you get any problems related to widgets, please leave a comment below. We’ll provide you best possible support to help you solve them. And, kindly share it to let your friends know about it. 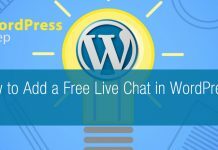 How to Add a Free Live Chat in WordPress? 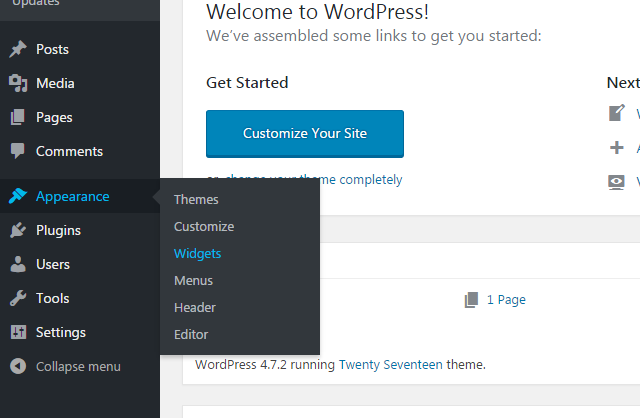 Hey Buddy!, I found this information for you: "How to Add Widgets in WordPress website". Here is the website link: https://wpallclub.com/add-widgets-wordpress/. Thank you.